Marie Kondo will help you declutter your life with her new major Netflix series Tidying Up with Marie Kondo. 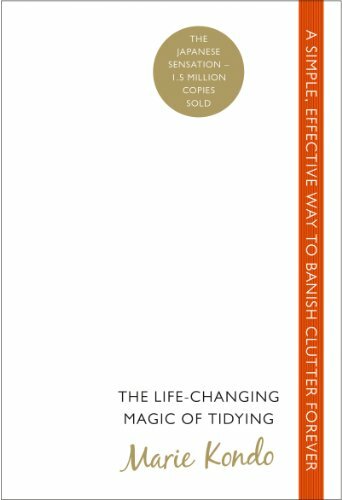 Transform your home into a permanently clear and clutter-free space with the incredible KonMari Method. Japan's expert declutterer and professional cleaner Marie Kondo will help you tidy your rooms once and for all with her inspirational step-by-step method. The key to successful tidying is to tackle your home in the correct order, to keep only the things you really love and to do it all at once - and quickly. After that for the rest of your life you only need to choose what to keep and what to discard. The KonMari Method will not just transform your space. Once you have your house in order you will find that your whole life will change. You can feel more confident, you can become more successful, and you can have the energy and motivation to create the life you want. You will also have the courage to move on from the negative aspects of your life: you can recognise and finish a bad relationship; you can stop feeling anxious; you can finally lose weight. Marie Kondo's method is based on a 'once-cleaned, never-messy-again' approach. If you think that such a thing is impossible then you should definitely read this compelling book.